Over the years, startling evidence has been unearthed, challenging established notions of the origins of Earth and life on it and suggesting the existence of a superior race of beings who once inhabited our world. 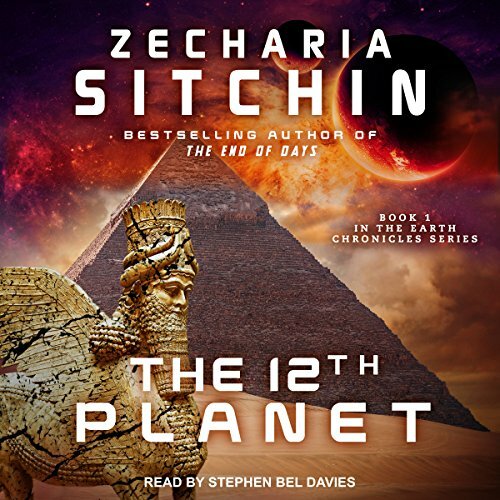 The 12th Planet brings to life the Sumerian civilization, presenting millennia-old evidence of the existence of Nibiru, the home planet of the Anunnaki, and of the landings of the Anunnaki on Earth every 3,600 years, and reveals a complete history of the solar system as told by these early visitors from another planet. Many names make the beginning of this book really painful but, it is a very scholarly work not, a simple fictional story. I found the connections with the bible stunning and it really held my attention. Listening to this is often like reading a text book, so be warned. Good after the first half! If you can make it through the first 5 1/2 hours if the book, it gets interesting. He names EVERY single mythological name in human history. The last half is good. 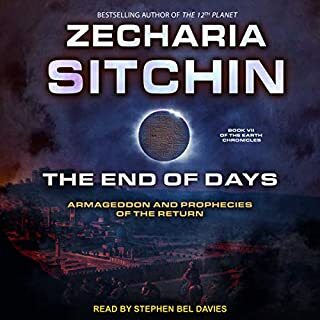 After listening to the 12th planet from Zachariah stitching and from his interpretations it makes more since to me about the history of the Earth and of mankind. his finding helps fill holes in the story's in the Bible that are not clearly explained. I feel I have a more accepting since we're Humanity came from given if even 1% is true of his findings. I feel that as though mankind is ready for the truth for all truths to come out into the open. please listen to this book with an open mind and you'll find it more enjoyable. 2nd, fascinating read. even recent discoveries and theories (2 come to mind, I'm sure alot of ppl are familiar with) that totally support his translations. every transition, comparison or tie in was super smooth and logical. 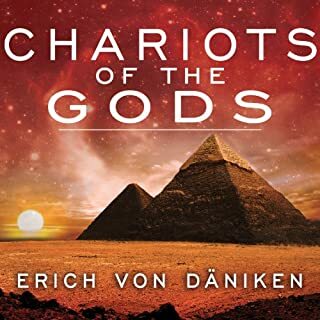 probably one of the best books I've listened to in years on the Paleo archaeology / paleo alien and religious ideologies out there. Thank you Z.S. for your painstaking work on the ancient texts. The insight you share fits better than anything man has proposed yet. I enjoyed this book very much. 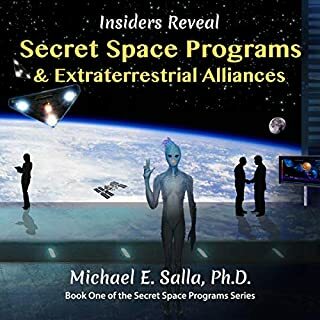 A very comprehensive view of our history/reality through the lens of alien influence. Wil deflinitely listen to it again. Awesomeness and a delightful to listen. I have the next in line warming up in the bullpens. I highly recommend this book to anyone seeking knowledge. Certainly gives us a few things to ponder! Remember class, information is always neutral. 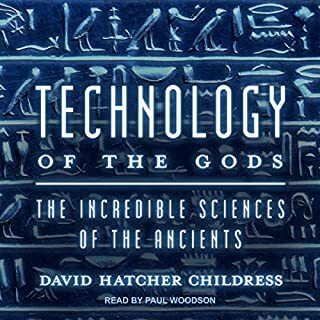 An interesting take on ancient civilisation history albeit with much assumption. With that in mind you need to read with some salt. However, if even 25% of this account is true it would smash down our ideas of ancestry and history. . I tend to agree with Graham Hancock’s work on ancient civilisations (read Fingerprints of the Gods) and importantly the evidence presented on the asteroid that ended the last ice age some 13000 years ago. In contrast, Sitchin’s assumption of an Antarctic ice shelf detachment is thus incorrect, but this does not weaken the narrative, Hancock’s presentation actually strengthens it. Moreover, Hancock’s work concentrates on the near ancient, not far ancient civilisations. . . It is clear, in general, that what we’ve been told about our past, our civilisations, and place in this world, is largely a lie. There is so much evidence out there for those willing to look beyond the government based narratives that there is far far more going on and has gone on than we have been led to believe. Reading works such as this and Hancock’s help in opening ones eyes to the real world around us. just wow! this is such an eye opening book!!! truly incredible! this only downside is the narrator's voice sends me to sleep but the book it's self is so infatuating I couldn't stop listening! The book although well researched and very thorough, was ludicrously difficult to follow. The narrator has the most dreary and dull voice. 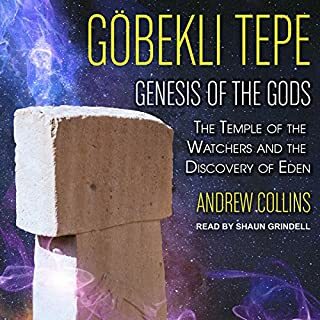 Because the author has tried to cram so much in, I found there to be too much mention of various gods and other historical names far too often, which just added to the confusion. All that combined I was thoroughly un-entertained and really didn’t want to carry on and finish the book. There’s masses of potential here, but in its current state is very unfriendly to the listener and reader!!!! Only buy if you’re up with you ancient mythology to a scholarly level, otherwise don’t bother. Took a while for me to get into but after the first bit good to listen to . so inspiring, such a fantastically enlightening listen... it gives so many comparison's to the bible. This is an amassing book! Personally think that everyone should reed it. Very interesting and argued with facts. An alternative take on our ancient history, argued with facts and reason. 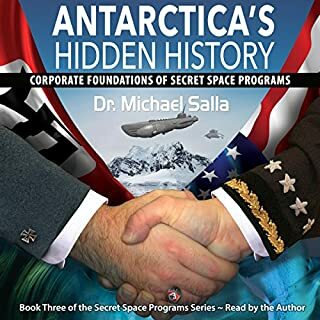 Very intriguing and thought provoking, this book is fascinating, but could be a bit "text book" for some listeners as every section is followed by the factual information that backs it up. Always knew inside my mind that we came from another planet....why do the powers at be lie to use about the true history of mankind....infact the powers that be lie to us about everything...we were created by an evil bunch and we a still governed by an evil bunch...there was no hope...but we are now awakening to the truth!!! This book told a captivating tale of alternate history! Very insightful and thought provoking ideas put forth!